It’s not easy being a pair of shoes. These sneakers in particular have gone through it all. Since the first time I brought them home, they’ve endured scorching hot concrete in the summertime, stomped through muddy puddles, and braved questionable bathroom floors. They even went to college and traveled around world. 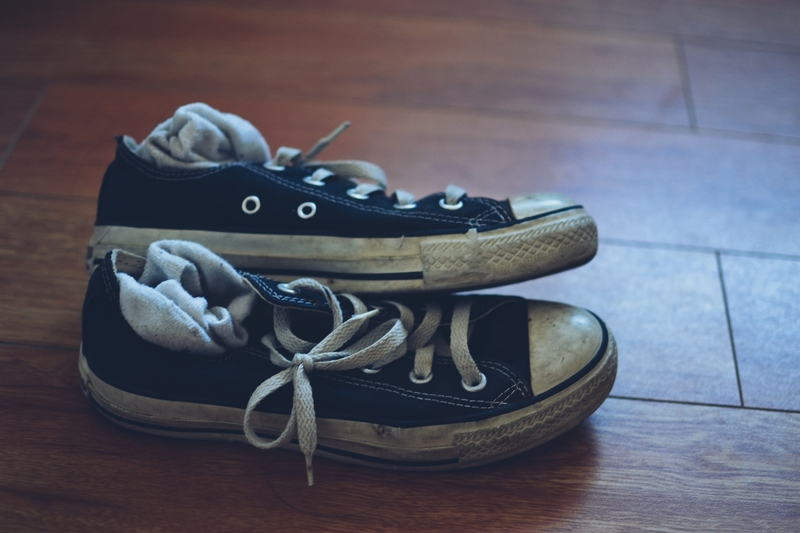 From the most mundane of times to the most exciting, my once squeaky-clean shoes have dulled to a tired grey as they gradually accumulate holes, scuffs, and dirt over the years. But along with those signs of wear are the countless stories and memories that ultimately make these shoes irreplaceable. Amanda: I particularly love the shot of the scuffed up shoes, and think that it would be possible for that photo to standalone without the first shot of the brand new shoes. The lighting on the second photo in particular brings about a nostalgic feeling which I love. The placement of one shoe on the other (as opposed to side by side) adds a little bit of life to the shoe – indicating that they were just taken off casually, but still used frequently. It would be interesting to consider how to incorproate a more detailed background as opposed to just hardwood floors – perhaps that could incidate all of the different experiences your shoes have travelled. Jessica: I love the idea that our objects become representative of ourselves. It’s interesting to think about how each pair of Converse, once identical with every other pair, starts to take on individual scrapes, holes, and marks and eventually becomes a unique thing that tells its own story. Great concept! Unfortunately, I don’t feel like the execution of it was quite as strong as it could have been. But! My absolute favorite detail was the scrunched up socks inside the dirty Converse. Love it! Stephen: A really sweet take on the story of your shoes. They have probably taken in more of the world than some of your average joes, but they are a forgotten wonder. Each grain of dirt is from a different step on different land, and you have caught their fresh , clean and dirty, scruff sides perfectly. Personally I dont like the distraction of the packaging in the first shot. 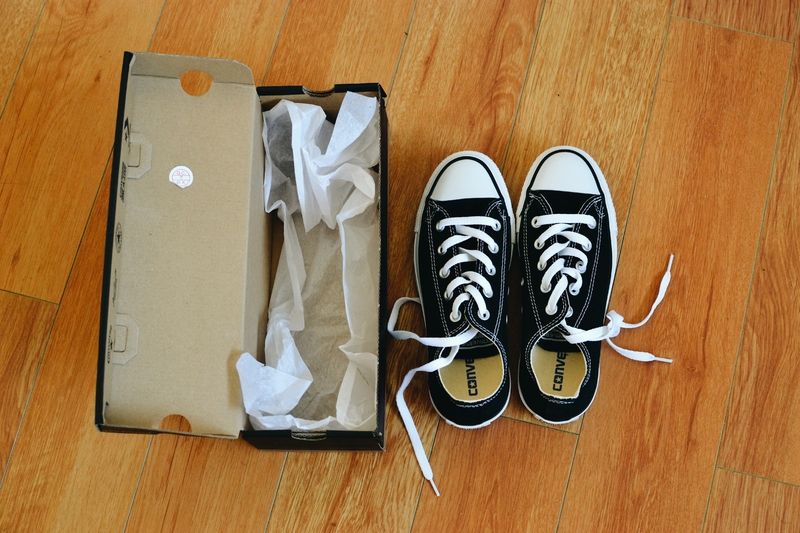 Althought the shoes are ‘box-fresh’, the beauty is pulled slightly to the left, adding a …ness to it. I do really like the second shot. The shoes feel very personnal, as if I had been on their journey. Posted in #3 - Someone Else's Story, BeatriceTagged beatrice, collective, community, photography, project, project 3, shoes, Sole Survivor, the photograph collective, travelBookmark the permalink.